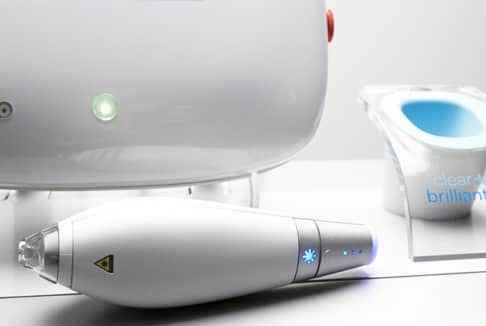 Noninvasive and nonsurgical, Clear + Brilliant lets you get right back to things. What’s more, it’s budget-friendly. Safe for all skin types and tones, Clear + Brilliant works best on younger patients who want to be proactive in controlling signs of aging. That’s because it encourages new collagen growth, which boosts skin tone, smooths texture, and shrinks pores. 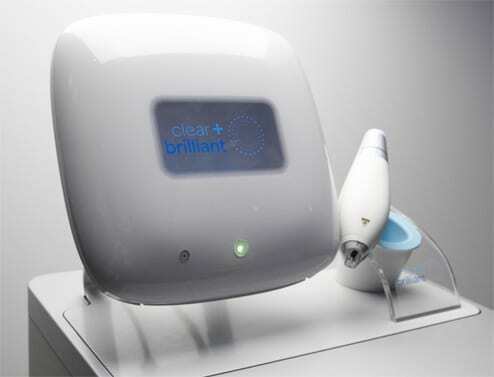 A Clear + Brilliant treatment takes about 30 minutes. Forty minutes before it begins, you’ll have a numbing agent applied to your face. This is removed right before treatment. The laser session itself lasts only 10 minutes. During it you may feel a warm tingling or prickling sensation. You’ll likely experience no discomfort. A patented intelligent Optimal Tracking System ensures that the laser covers the treated area uniformly. Directly after a Clear + Brilliant treatment, a cooling face mask is placed on the treated area for 10 to 15 minutes to reduce any lingering feeling of heat.Most clients need little to no recovery time following a Clear + Brilliant procedure. But you may experience slight redness and swelling, as well as mild discomfort. These may last up to 12 hours after your treatment. Your recovery can be sped along by avoiding direct sunlight for two days following treatment and wearing a sunblock whose SPF is 30 or higher. Potential side effects of Clear + Brilliant may include prolonged swelling, redness, scarring, blistering, hyperpigmentation, infection, and herpes flare-ups. It’s important that you discuss your medical history with a specialist before undergoing Clear + Brilliant treatments. Clear + Brilliant is a noninvasive dioxide laser that refreshes your skin from the inside out. It requires little recovery time, and the risk of complications is low. Any post-procedural swelling and redness disappear after a day or two. The treated area might also feel rough, but this goes away after five days. 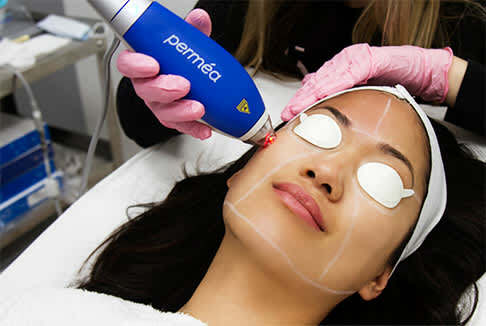 1440-nanometer wavelength laser, which reduces pore size, diminishes fine lines, and improves skin texture. 1927-nanometer wavelength laser, which treats such pigmentation issues as melisma, sun spots, and other types of sun damage. Clear + Brilliant creates millions of microscopic treatment zones, replacing damaged skin with healthy, younger-looking tissue. The result is a youthful glow. 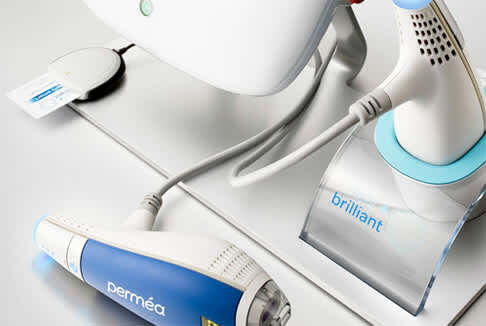 A single Clear + Brilliant treatment improves skin appearance. And the improvement continues with additional procedures. Your Clear + Brilliant glow you should maintain with touch-up treatments a few times a year.